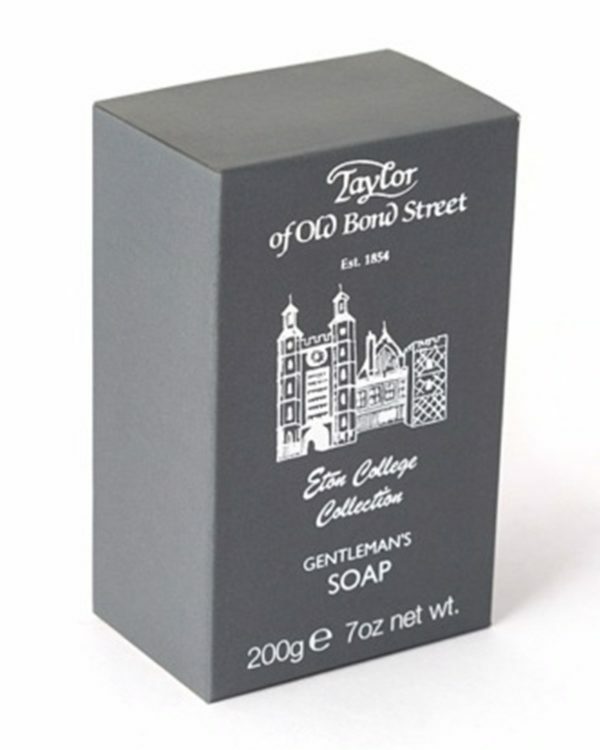 The triple-ground plant-based bath soap stands out for its irresistible fres scent of the classic Eton College Collection of the house Taylor of Old Bond Street. The soap is triple-ground and develops a creamy foam making it enfold its unique skin-balancing properties. The result being a pleasurable and smooth body. 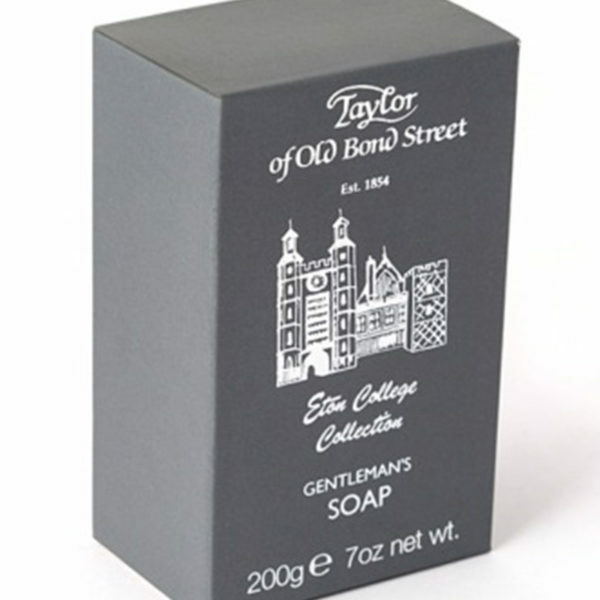 In addition, the soap bar with the imprinted logo lies easily in the hand due to its rounded shape. Wetten the soap between the palms and rub until it starts foaming. Distribute on the body and rinse well. To enjoy the soap for the longest time possible, we recommend storing the soap on a side stand, so the excess water can drip off and the soap can dry.